Kenneth L. “Ken” Street, 66, of Cogan Station, passed away Friday, August 31, 2018 at UPMC Susquehanna Williamsport. Surviving is his wife, Patricia A. (Morris) Street, with whom they would have celebrated 44 years of marriage on September 20th. Born November 6, 1951, in Lexington, Nebraska, he was a son of the late Claude G. and Anne E. (Drabek) Street. 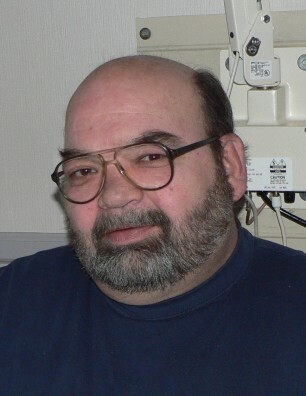 Ken was employed for over 25 years at Shop-Vac in the maintenance department. He enjoyed fishing, racing, and NASCAR. Ken was a loving husband, father, and grandfather and cherished spending time with his family. Surviving in addition to his wife are a son Brad C. Street (Jennifer), of Linden, a grandson, Cash K. Street, and three brothers, Gary Street (Virginia), of Salladasburg, Todd Street (Barbara), of Williamsport, and Randy Street, of Cogan Station. In addition to his parents he was preceded in death by a sister Carole Praster. A memorial service to honor the life of Ken will be held 2 p.m. Saturday, September 8 at Newberry Church of Christ, 2101 Linn Street, Williamsport. The family will receive friends from 1 p.m. until time of service at Newberry Church of Christ. Burial will be held privately at the convenience of the family in Wildwood Cemetery. In lieu of flowers memorial contributions may be made in Ken’s name to the American Cancer Society, 1948 E. Third Street, Williamsport, PA 17701 or at. www.cancer.org.